Visiting London will be quite the experience for me, to say the least. I have been to Mexico numerous times as well as the Bahamas, but traveling here to London, one of the most beloved (and expensive) cities in the world will be a time to remember. I chose London for a specific reason. I have worked extremely hard in the hospitality industry for the past couple of years saving as much as I can to visit London. Since I worked on Fisherman’s Wharf in the city I met people from all around the globe; the most enjoyable of them all was of course, those from the UK. After saving and gathering information I chose to visit London solely this time around, in order to soak in as much as possible, seeing that I am contemplating moving there after I graduate. Although I am on a budget of $3000.00 I hope to see as many art museums off all genres as I can. Since I have become more informed on art in the last couple of semesters, I am eager to see what these museums have to offer. This time around I do not intend on being a picky eater, I plan on eating as cheap as possible. In addition to the museums I plan on visiting some of the churches, shops, and local cafes. As far as the nightlife is concerned, I would like to go to a couple of London’s nightclubs to see how their club scene is. Furthermore, I plan on taking a day trip to Cambridge to explore other sites and do a punting tour. It will be somewhat of a fast-paced trip, considering I will need to soak inasmuch as possible in order to decide if London is the next step after college. This trip will also be the stepping-stone for other European adventures I plan on having in the next couple of years. I have a great appreciation for London and all that it has to offer, so lets get this going. Since I will be leaving shortly after finals, I made sure to start all my preparations a month in advance. I made sure that the existing credit cards I had were valid in London during my stay. As far as cash, I will be withdrawing pounds upon my arrival since they are stronger in currency. I have decided not to purchase a temporary cell phone since I will only be in London for one week. Therefore, any important calls I need to make (to mom) will be done through BT phone boxes where the initial cost starts at 2 pounds. As far as my passport goes, it is still valid until 2015. I will be sure to pack warm clothes including heavy coats, scarves, and beanies since London is especially cold and snowy during December; hitting temperatures in the 30s. I’ll also pack some informational pocketbooks on London that include some background information in the sites I am visiting. I am bringing a large suitcase not only because of the amount of clothes I need to bring, but also the souvenirs I am bringing back for my family and friends. Initially, I was going to apply for a credit card that offered miles for my current trip. However, since I am not sure if I plan on flying back to Europe sooner than later, I am going to hold off until I know it will benefit me. I searched many websites looking for a roundtrip flight with no layovers. I also wanted to take advantage of my last year as a student, knowing that airlines often offer discounts. To my surprise, going directly through an airline, regardless of being a student was the most expensive route. Even Expedia, Kayak, and Bestfares were around the same price as going to the airline directly. Then I remembered the website STAtravel, which is a student travel site that can also be used by teachers and those who are under 26.Book cheap student and teacher flights, hotels and hostels with STA Travel Agency | STA Travel | Home The website offers the cheapest fares I found, and most of the prices stayed under my budget of $1000. Round trip to London was under $650. Although, I had to alter my dates a tad bit, it was completely worth it, seeing the amount I would save. Initially, I wanted to fly directly from San Francisco into London Heathrow Airport. However, the rates were out of my budget each day I looked. In the end it worked out in my favor, I plan on driving home on the morning of December 9, 2011, to spend some time with my family before I leave. Luckily, the flights from Los Angeles to London were about $200 cheaper. Therefore, I chose to book my flight through STAtravel, I will be flying out of LAX on Sunday, December 11, 2011 at 9:15 pm, and arriving in London on December 12, 2011 at 3:55 pm. The total price of roundtrip fare is $788.91 and I will be flying with Virgin Atlantic. I am set to arrive at London Heathrow Airport around 3:55 pm. After I use the restroom and freshen up I plan on picking up my luggage from the carousal. I want to get the little things out of the way such as retrieving maps, transportation cards, and cash while I am still at the airport. I am going to head over to the ATM and pull out 200 pounds in order to cover the cost of transportation, hostel, and groceries. From there I will walk down to terminals 1-3 and head to the nearest informational desk in order to purchase a seven-day travel card. Seeing that the transportation system may be confusing at first, I will also purchase a map for 1 pound. The zones are still a bit confusing, but from the looks of it I will need to purchase a travel card for zones 1-4 for 39.40 pounds. In addition, I plan to purchase a one-time ticket for the Heathrow Express shuttle to my hostel since travel cards are not accepted. This will be beneficial to have since I will be in London for about 6 in half days. Although, I need to experience a London cab at least once I know they are much too expensive to use throughout my stay. After buying my travel card I will hop on the Heathrow express towards Paddington rail station. From there I will transfer and take bus route 436 towards Lewisham/Shopping Centre. Once I arrive at Victoria Coach Station I will walk to my hostel; it’s a straight shot to St Georges Dr, my hostel is in Eccleston Square on the corner of St George Dr and Warwick Wy. After researching many hostels, I chose Holland House SW1V 53 Eccleston Square. I found this through a very reliable and affordable website. Since I will be in London for about a week it was a better bargain to pay for one week in full. I am fine being in a shared dormitory it gives me an opportunity to meet people. The cost of the shared dormitory for a week is 103 pounds. The hostel is decent looking, it has commodities such as a large dining room, kitchens, laundry, Internet, and vending machines. What’s also nice about the hostel is that the price of stay includes breakfast and a three-course meal. I hope to arrive at the hostel around 6:30 pm. After I check-in, I most likely will get settled in, and eat there at the hostel. This night I will relax, mingle, and hopefully get some sleep so I can prepare for the rest of my trip. I hope to be awake and ready by 8:30 am. Today I will be having breakfast in the hostel to save some money. 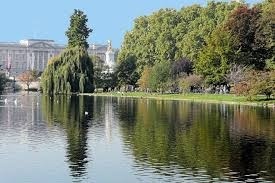 Although, it will be freezing I want to head to Green Park which is walking distance from my hostel. Here I would like to see the monuments, and just take some time to relax. 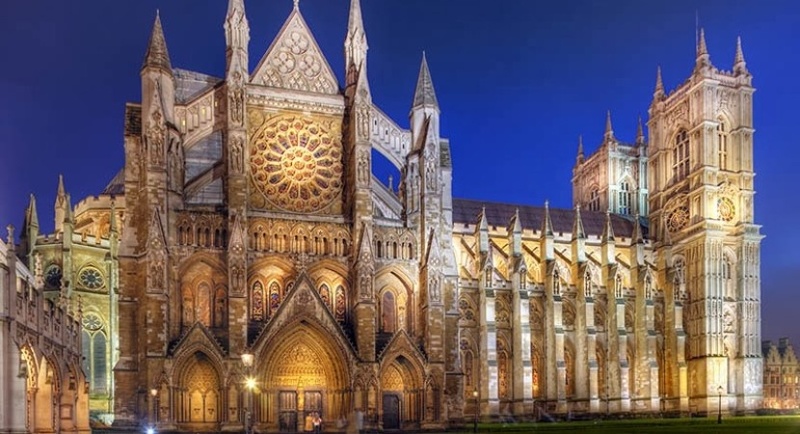 Around 9:30 am I plan on heading to The Westminster Abbey. You get in free if you buy the London Pass, which gets you in everywhere else. I will take the Bakerloo line Bus route N16, which will drop me off at the Victoria station. 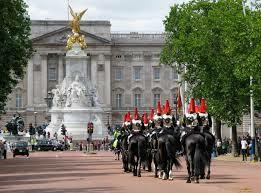 From there I will walk to Westminister Abbey, about a 15-minute walk. I should arrive at the church around 10:15 am. This is one of the churches I have been eager to see; it is rich in history and needless to say extraordinary. After spending a bit of time here I will head over City Café for a warm cup of coffee and some lentil soup. 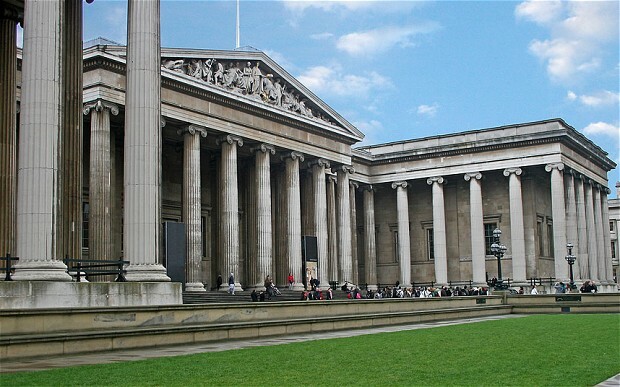 After I finish, I will head to the highly anticipated National Gallery in Trafalgar Square. From City Café I will walk to Horse ferry Rd and take bus route N3 towards Oxford Circus ending at Trafalgar Square around 1:15pm. The British Museum is equalled only by the Vatican. It's open late Fridays. It's not just art, it has everything historic, like the Magna Carta, and the greatest Greek Art, the Elgin Marbles stolen/borrowed from the Parthenon, the Rosetta Stone which deciphered Egyptian writing—everything. I will arrive back at the hostel around 7pm. Most likely, I will eat dinner here at the hostel, and relax for a bit. Although, I want to stay on somewhat of a tight schedule I am going out to a pub for a couple hours to try some English beer. I can walk directly from my hostel to a pub known as Albert Tavern; it’s about a 15-minute walk. After I throw back a couple I plan on heading back and getting some rest for the next day. Today I plan on eating breakfast at the hostel and heading out for the day around 9:30 am. My first stop will be Shakespeare’s Globe in Southwark. I can get here easily by taking bus route 11 from stop T towards Liverpool st. Then from Mansion House stop it’s about a 14- minute walk to Shakespeare’s Globe. With a student I.D. the exhibition and globe theatre tour is only 11 pounds. 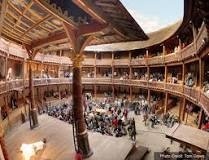 At this time there will be no performances, but it will be a delight in its own to see such a vivid recreation of Shakespeare’s theatre. I have a fascination for Shakespeare that I hope to expand my knowledge on in the future. After my tour, I will take a small break to grab a croissant and latte from a coffee cart located in the theatre. From the theatre (assuming it’s around noon) I can walk to Southwark Bridge and take bus route 381 towards Peckham. My stop will be the Tower Bridge Police Station; from there it is about an 8-minute walk to the Design Museum, 22 minutes altogether. The price of admission depends on the exhibitions going on at the time however the standard price for adults seems to be 10 pounds. I was drawn to this museum because of the variety of contemporary art they have it is truly amazing. I have always been interested in fashion for its dynamics and beauty. During my trip they will have a “Drawing Fashion” exhibit, which displays unique fashion illustrations from the twentieth and twenty-first century. After I make my way through the museum I definitely plan on purchasing a poster; I already have my eyes on a Christian Berard poster for 17.50 pounds. After the Design Museum I am going to grab a quick bite to eat at a café nearby. From here I will take the green district line towards Richmond underground station then I will walk about ten minutes to Buckingham Palace. 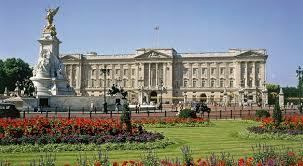 I cannot leave London without experiencing the gardens and the palace itself. After this I will head back to the hostel, eat some dinner, and get ready to head to St. John’s Smith Square to walk around and see where the night takes me. If I still have strength, the National Gallery is free admission while suggesting a donation. While at the museum I would love to see the works of Renoir and Watteau. I am especially excited to see paintings from the high renaissance period (1500-1600). Museums typically take about two hours for me to get through if I am interested, seeing that this museum holds over 2,300 paintings I am giving myself 3.5 hours to soak it all up. The museum closes at 6pm, which is around the time I will be done viewing. From there I will head back towards the hostel and go to a market to grab a few groceries (for the week) such as; water, chips, fruit, yogurt, and ect spending no more than 35 pounds. I am going to start today bright and early. Most likely I’ll eat breakfast at the hostel along with a cup of coffee before I set off for the day. 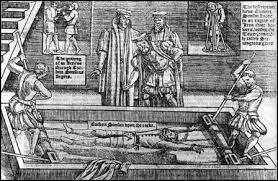 Assuming that the weather will be agreeable, I am going to a tour of Cambridge for the day. The simplest way to get to Cambridge is by the underground railway. Therefore, I will walk down to Victoria coach station and take the blue Victoria line towards Walthamstow central underground. Eventually, I will transfer to the red central line that heads towards Epping underground station. This will land at Bethnal Green and from there I can walk to the tour meeting spot Mill Lane, Cambridge. Once I arrive at the meeting spot I will gather the necessities such as maps; that can be found at the tourist information centre on Peas Hill free of charge. At this informational desk I can also purchase my ticket for the punt tour, which cost 11 pounds for students. The tour last for 45 minutes and rows you through multiple sites. Some of the sites I wish to see on the tour would be, St Mary Magdalene and Cambridge Botanic Garden. After the tour I plan on having a hefty lunch with a brisk glass of red zinfandel at De Luca Cucina & Bar in Cambridge; budgeting no more than 16 pounds for lunch. Shortly after I enjoy lunch I will venture over to Grand Arcade shopping centre to grab some souvenirs and a couple items for myself, spending no more than 90 pounds. My last stop in Cambridge will be Emmanuel College Gardens; it’s said to be one of the largest and most beautiful of the college gardens. From there, I will trace my steps back and return to Central London in the evening. Even though I know I will be exhausted I am going to eat dinner in the hostel, freshen up and try out another pub/lounge. From Victoria I will take bus route 38 towards Clapton pond. From this stop I will get off at Green Park and walk 5 minutes to the lounge/club “FunkyBuddha”. I really enjoy house music and electro so it will be interesting to see what London can offer in this arena. As far as cover goes I am sure there is a way to wave the fee; and drinks I have a maximum of two, and do not plan on spending more than 12 pounds. Assuming I’ll be out pretty late into the night, I will be taking a cab back to the hostel this night. There is no doubt about it that I am going to be exhausted from the previous day from all the walking and cocktails. So today, I am going to get up a bit later around 10am, get ready, and be out the door by 11:15am. Since it will be a late start I am going to head to lunch in the Phillimore Gardens. I heard about a café known as Sticky Fingers near the gardens; it is owned by Bill Wyman of the Rolling Stones, and has awesome pub food. It is an easy shot to High Kensington street, all I will have to do is hop on the green line to the express bus towards Bracknell, from there it is a 10 minute walk to the café. While I’m here I plan on enjoying a hefty meal consisting of a “veg-out burger” (since I’m vegetarian) for 9.65 pounds, which comes with a side salad. Oh! I also cannot forget my beverage, classic champagne cocktail for 7.45 pounds, yum! 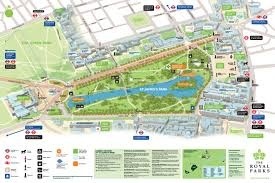 After I sit awhile to digest, I plan on walking to Princess Diana’s Memorial Playground. It is important for me to visit this site, because as I was growing up my mother adored Princess Diana, and she specifically asked me to come here. Although, the walk from the restaurant to the site is about 25 minutes, it will be nice and brisk since I will have had a heavy meal. Since it is a playground, it does not have much to offer me personally, but at least I am able to visit it and snap some photos. 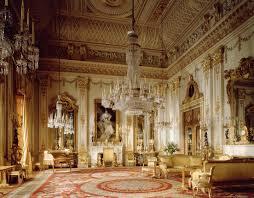 After I leave the memorial I will head to the Victoria and Albert Museum by hopefully 1:30pm. From the memorial I can take the bus to South Kensington and walk about 12 minutes to the museum. During my visit the museum will be exhibiting “Postmodernism: Style and Subversion 1970-1990” which should be quite interesting since I am not too educated on this genre of art. During this time, the exhibit will only cost 8 pounds with a student I.D. I am thrilled to visit this museum; it is so dynamic and has a display for virtually every visitor’s interest. It is quite large the museum, it has 6 levels, 150 galleries, that stretches over seven miles. I am most intrigued by the fashion gallery that displays European clothing from some prominent designers from the mid-1500s onto current day. There are all sorts of astonishing pieces in the gallery including Victorian Court gowns, first design of Manolo Blahniks, and of course art of the great Alexander McQueen. Luckily, the museum does not close until 10pm on Fridays so I intend on spending a majority of my day here. After I am finished with the fashion gallery of the museum, I will most likely take a break for a snack at the V&A Café where I can grab a scone and a hot soy latte. Once I am finished with my break I am going to head to the Postmodernism exhibit where I can see the roots of my parent’s style when I was child known as “new wave” art. Afterwards, I will try to visit as many galleries as time will allow since I would like to be explore one more tavern before I leave. My goal is to leave the museum around 8pm. From there I will take the bus to South Kensington underground station. I will take the blue line (Piccadilly line) towards Cockfosters station. This will drop me off in Leicester Square where I can walk about 18 minutes to the famous Fitzroy Tavern. I know what you’re all thinking why would I travel 40 minutes to a pub in freezing weather? Well because this is no ordinary pub, it is actually very well known. The pub came about between WWI and WWII and it was dawned an artist and writers bar of the area. It is popular to this day because it is situated near the University College London and has reasonable pricing. The pub is not open too late, only until 11 pm so I plan on having a couple beers, and heading back to the hostel around 10 pm, which will be about a 40-minute travel. With the remainder of food I have left from the market I will whip something up at the hostel before I go to bed. Saturday is my last day so I want to have as much energy as possible to get in any last priorities including museums and shopping for souvenirs. I am going to be up, ready, and out the door by 8:30 am today. From the hostel I am going to grab some breakfast near the Victoria station so it is a straight shot to my next destination, the Burlington Arcade in Piccadilly Circus. I am able to take the Victoria line straight towards Green Park station, from there I can get off and it will be a 10 minute walk. The center opens at 9:00 am on Saturdays, so I will be just in time to grab any extra gifts for myself and friends and family back home. I do not want to spend too much time shopping so I plan on finishing up at the Paris-like arcade shopping centre around 11:30 am. My next stop will be St James Park since it is only a 20 -minute walk to the Burlington Arcade. I do not plan on spending too much time here since it will be cold, but it is worth seeing, since it has acres of wildlife and beautiful gardens. Once I am done with my visit at St. James Park I will grab a quick lunch nearby, most likely a sandwich and coffee, and then be on my way to the National Portrait Gallery. Getting there should be easy as well; I just take the underground station to the gallery, where I walk ten minutes to the actual destination. During this time the tickets will be a bit pricey since there are a couple prominent exhibitions going on. The tickets for students and the unemployed will be 20 pounds during this time. Although, the ticket is expensive they have an amazing exhibit going on at the time titled, “Conference: The First Actresses: Gender, Representation and Performance.” The gallery displays the conflicts of gender and sexuality through art during the mid seventieth-century; from the looks of the website it looks phenomenal. Aside from this exhibit I am anxious to see the portraits of Mick Jagger and on the other end of the spectrum Charles Dickens. I will leave the museum around 2:30 pm to visit the Tower of London, can’t forget that! From the museum I can take the underground station and walk to the tower totaling about 25 minutes to my destination. 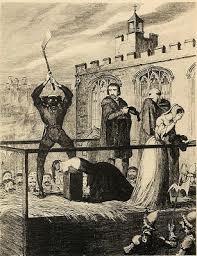 I hope to arrive at the Tower of London no later than 3:15 pm. Most likely I will do my tour with audio since I am not too familiar with the history behind the tower of the surrounding area. The rate for a one-time individual ticket with audio is 20 pounds. This ticket is not exactly cheap either so I will stay at the tower as long as possible to get my monies worth. Once I complete the tour I will head back to the hostel via the underground station. The goal is to be back at the hostel by 5:30 pm from the museum. Once I get back at the hostel I will make something quick to eat, and freshen up. I might as well call this my “day of splurge” since it happens to be the most I’ve spent the whole trip. Tonight I am going to catch an independent film at the National Theatre. The tickets appear as though they start at 15 pounds, which is good enough for me. The last showing is at 7:30 pm for all films so I need to make sure to be on time, seeing that its 35 minutes away. Once the film is over (most likely around 9:30pm), I am going to head to the nearest BT box to update my mother on my trip and let her know I am alive and well. It will be 1:30pm her time so it will be perfect timing to touch base. After I am finished talking to my mother, I will get on the nearest underground train and go back to the hostel. I know I am going to have a long travel day ahead of me so once I get back to the hostel I’ll grab a small snack and then hit the sack. Unfortunately today is the end of the journey. I am going to get up at 9:00 am, shower, and eat some breakfast at the hostel. I need to make sure all my belongings are packed away tightly and secure before I leave. Once I am dressed and all packed I will go to the front desk of the Holland House and make sure all my fees are paid and I will checkout. Assuming it will be around 11 am by the time I am ready to go I will have them hold my bag until noon. During this time I’ll do some walking around Eccleston Square and pick up any last minute souvenirs I might have forgotten. After my last-minute escapade I will go back to The Holland House and grab my bags. I’ll walk to Victoria station and take the bus to the Heathrow Airport, which will take about an hour. I should arrive at the airport by 1:25 pm. After I check my bag I will exchange any pounds and pences I have remaining from my trip just to kill some time. My flight will leave at 3:15 pm from Heathrow Airport and will arrive in Los Angeles Airport at 6:55pm. I’ll obviously be extremely jetlagged so once I return I’ll give myself adequate time to relax and return to San Francisco after Christmas.